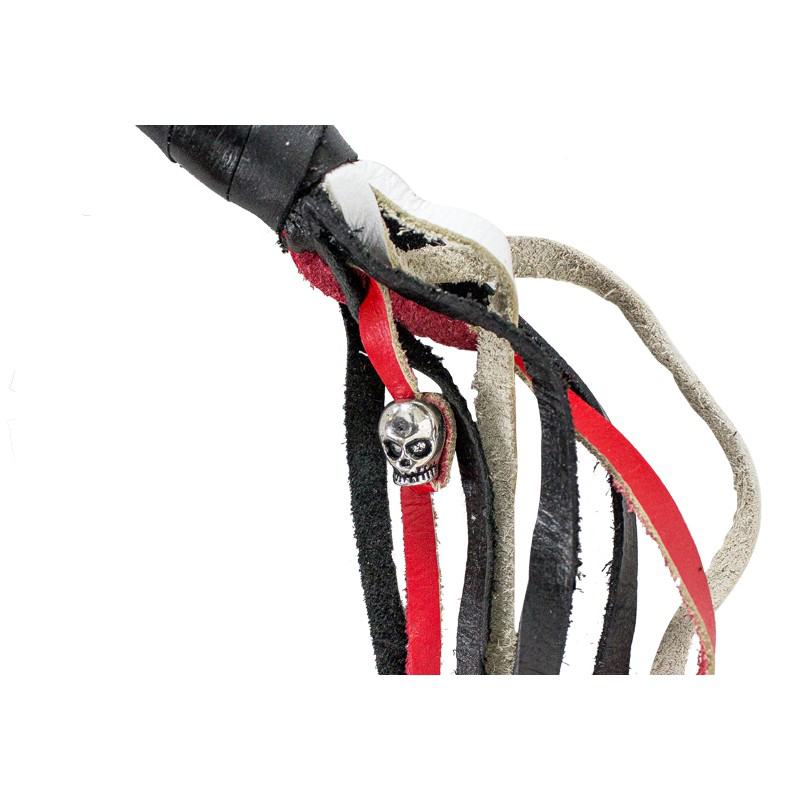 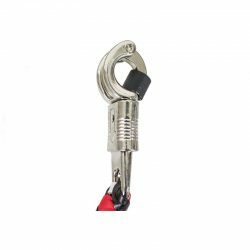 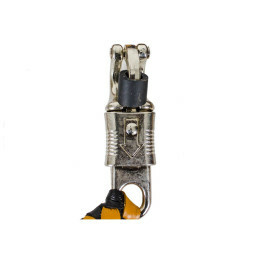 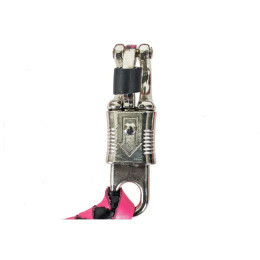 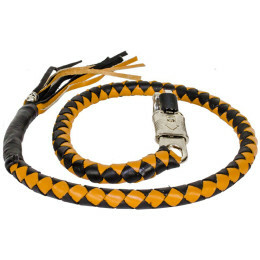 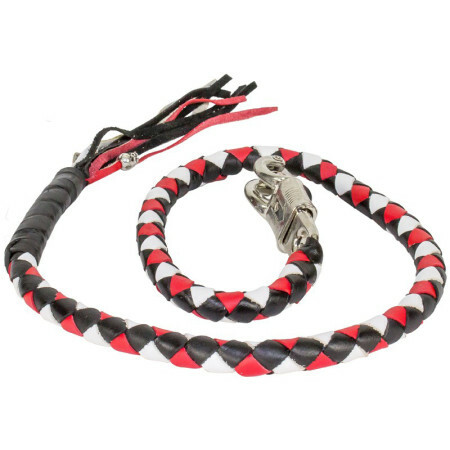 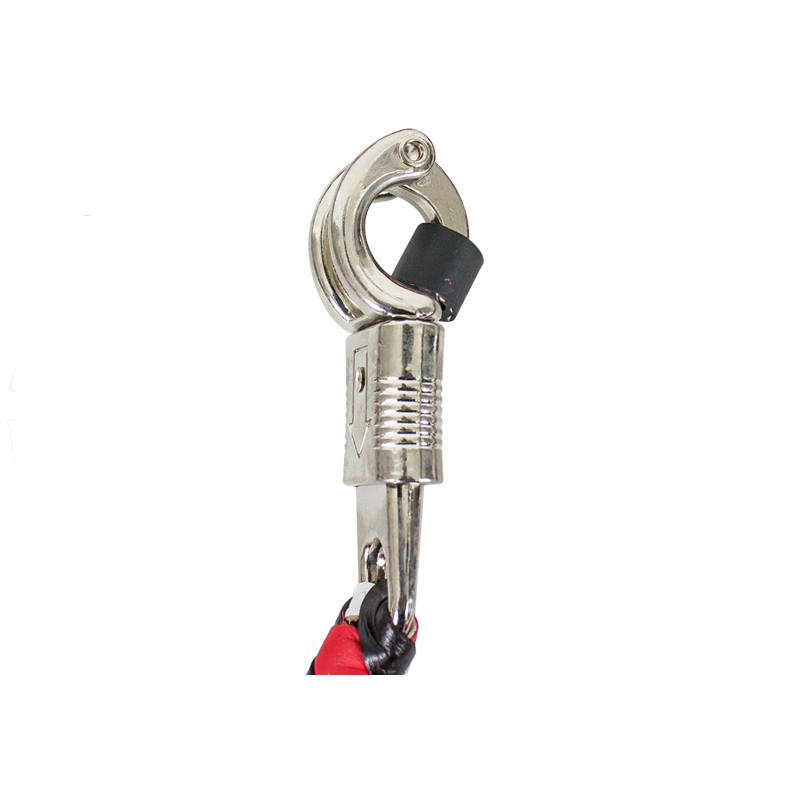 With 42″ of genuine hand-braided naked cowhide leather tied tightly to a stainless steel quick-release clip, our black, red, and white get back whips give any motorcycle a terrific classic biker look. The ends are finished with wrapped black leather and threaded black, red, and white fringe with a fine silver skull tied to the fringes. 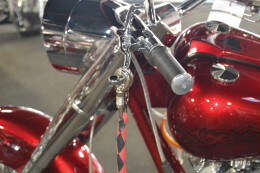 Our quality whips hang straight from the handlebars while idle and move freely while riding and add a classic look to any motorcycle. 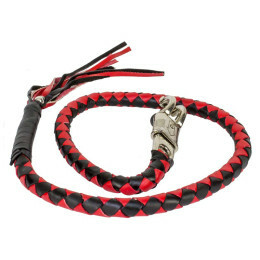 Order a set today.